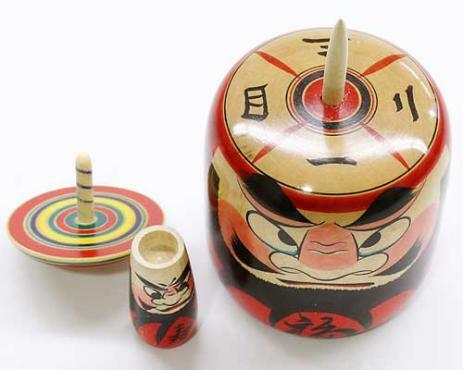 Parent and Child Daruma and Spinning Top! 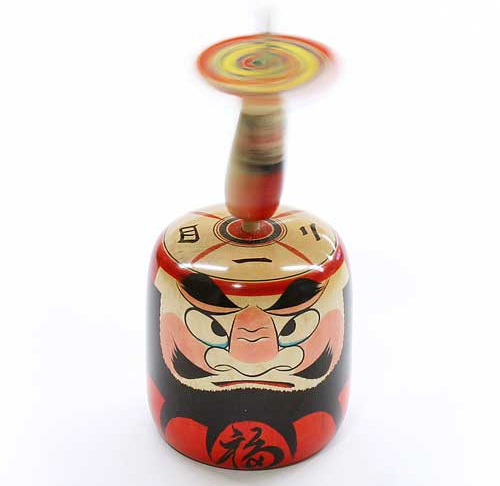 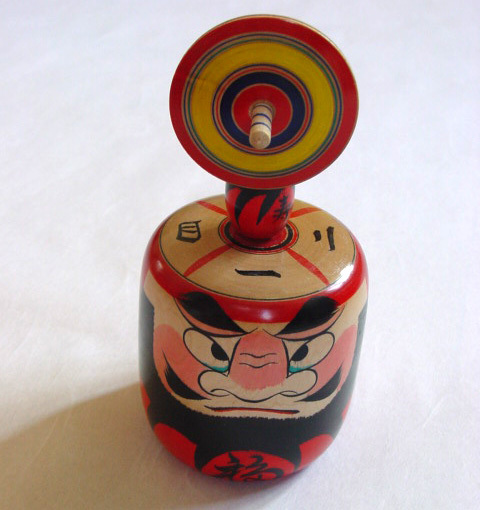 This unique koma has a parent and child motif, with the base being a large daruma, a smaller daruma on his head, which spins along with the spinning top. 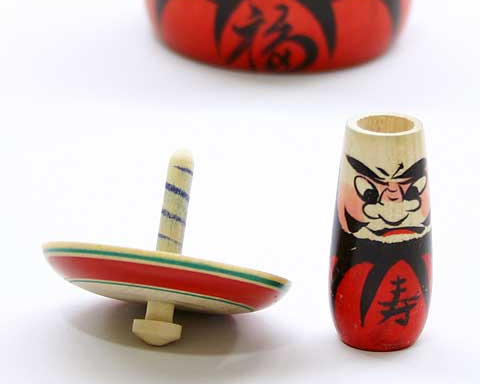 The large daruma also has the kanji for the numbers one to four, allowing another level of play or fortune telling.